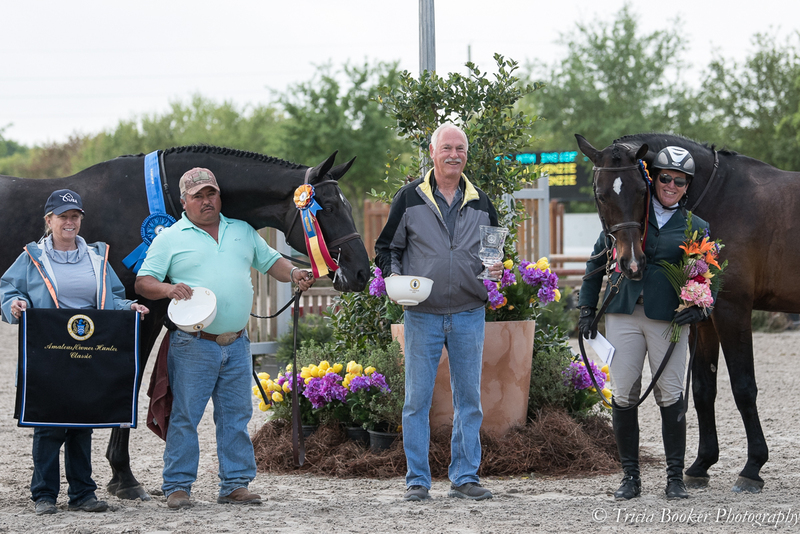 The 74th Annual Pin Oak Charity Horse Show wrapped up Week II, March 27-31, at the Great Southwest Equestrian Center in Katy, Texas, with Hunters and Jumpers taking center stage during this prestigious USEF Heritage horse show. 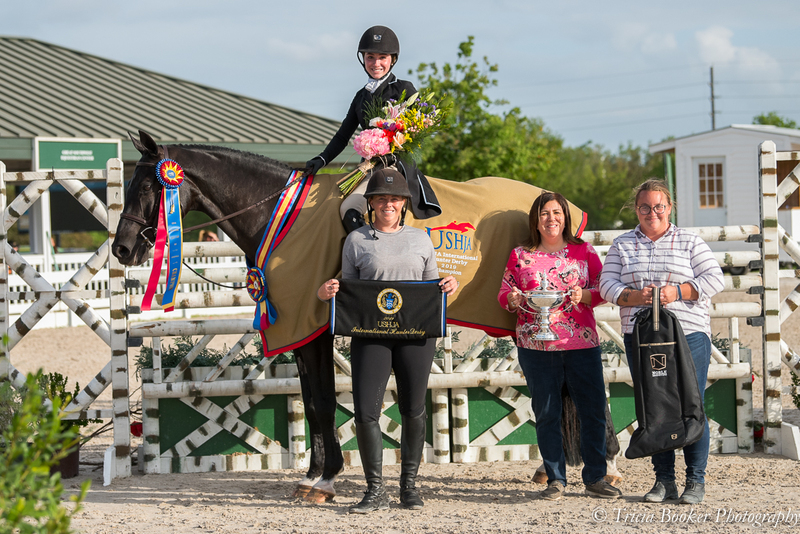 With the second and third weeks being USEF Premier shows and USHJA World Championship Hunter Rider events, the Hunter competition was formidable. 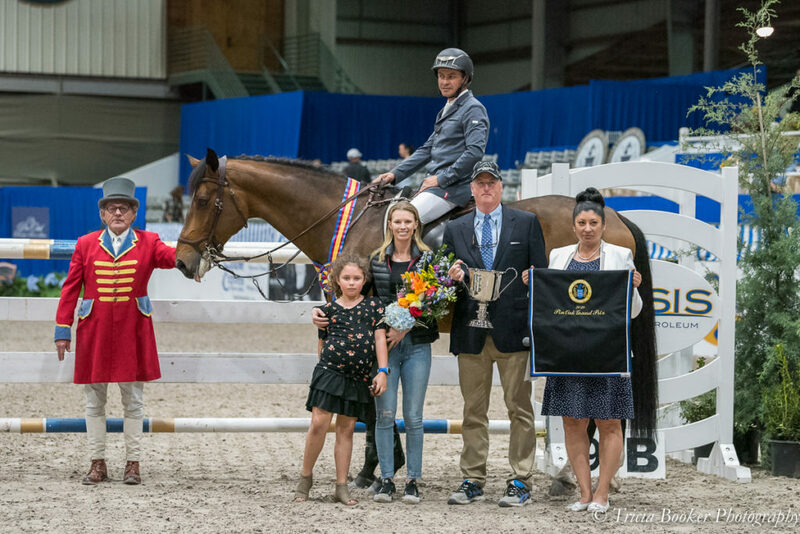 Junior rider Bella Kay showed everyone how it was done in the $30,000 Walsh & Albert USHJA International Hunter Derby, which was run in the Hunt & Go Format. 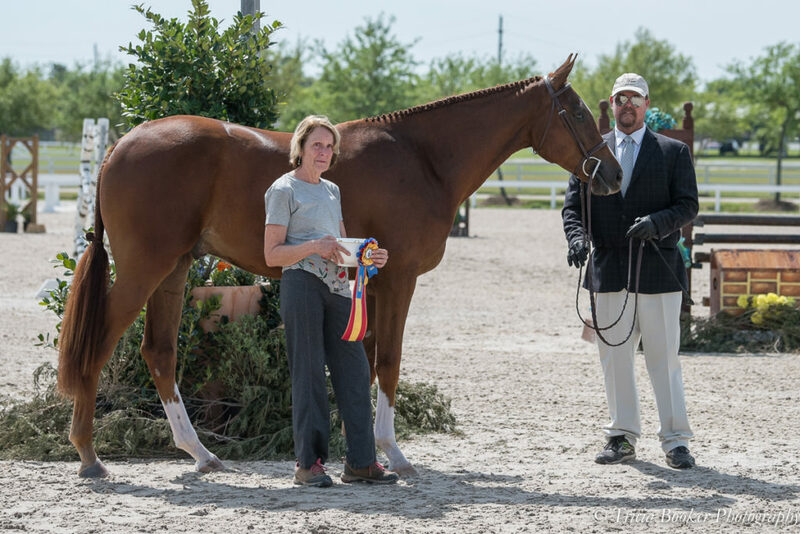 In this class, the riders contested the Classic Hunter phase in the Memorial Park Hunters Mega Ring I before trotting directly over to Mega Ring II for the Handy phase. 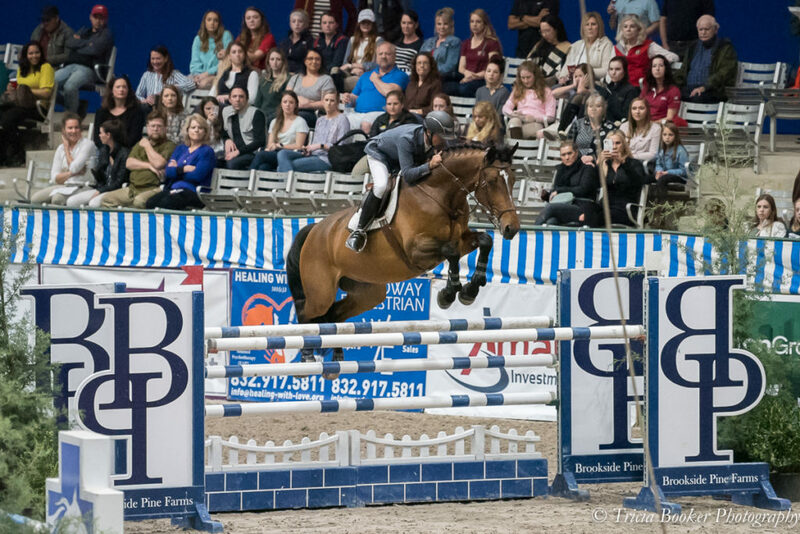 Thomas Hern’s formidable Hunt & Go course included 14 fences, with eight in the Classic round and six in the Handy, and it was the juniors and amateurs who rose to the top on this beautiful Friday evening. 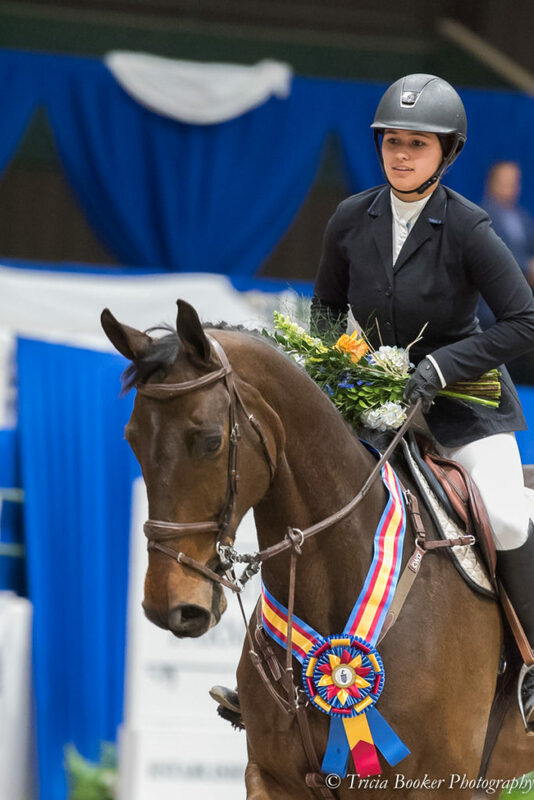 Kay, 16, and her Symbolic jumped to the victory, with amateur Didi Mackenzie taking second aboard MTM Do Right. 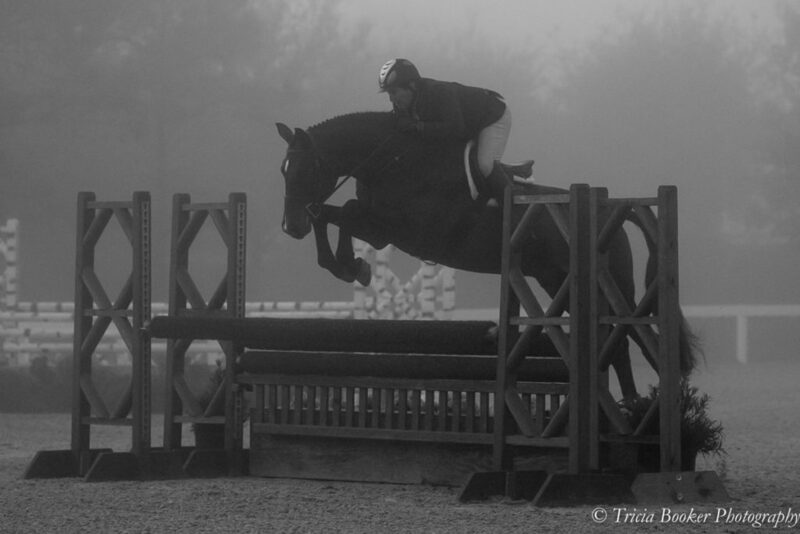 Fellow amateur Isabella Littlejohn piloted Miramar to third place. 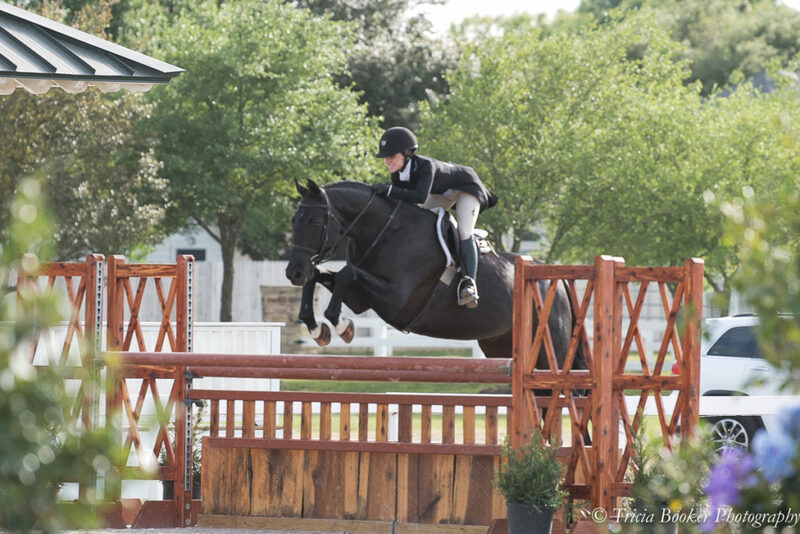 Kay purchased Symbolic, a black Hanoverian nicknamed Andy, three years ago. 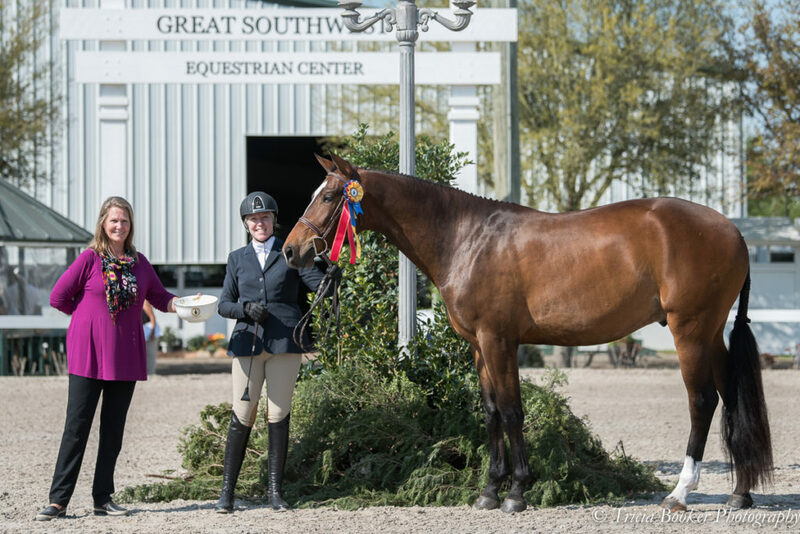 The pair began in the Children’s Hunters and have worked their way up steadily under the direction of trainers Becky, Jenna and Kylie Vanerstrom of Talisman Stables. 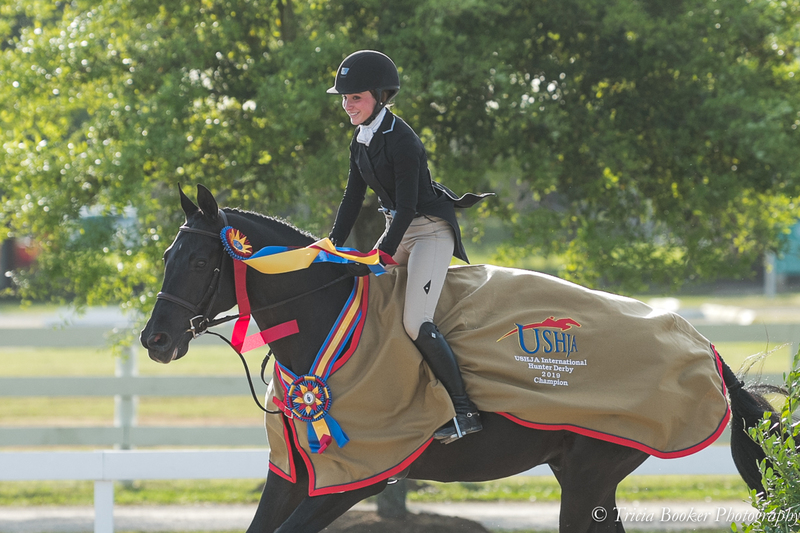 This was their first USHJA International Hunter Derby victory together. 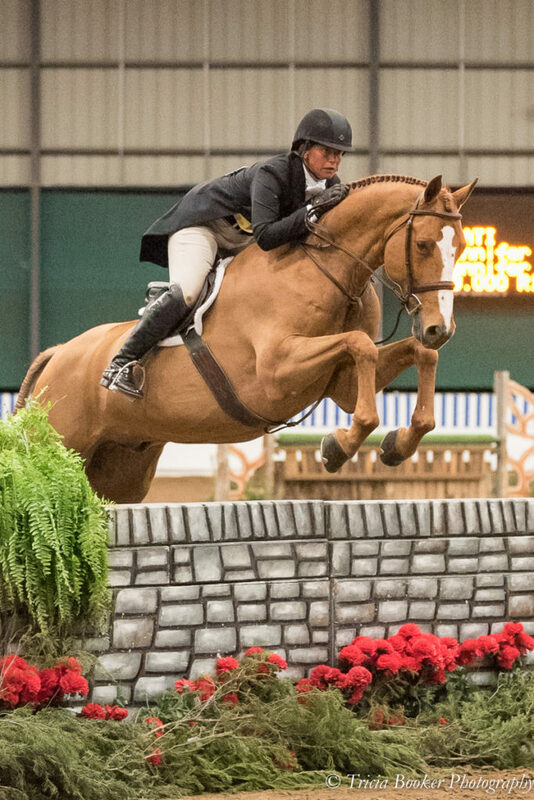 Kay, who finished second in last week’s $30,000 USHJA International Hunter Derby using the standard format, went late in the order this week for the Hunt & Go, so she was able to fine-tune her plan after watching some competitors have rails down. 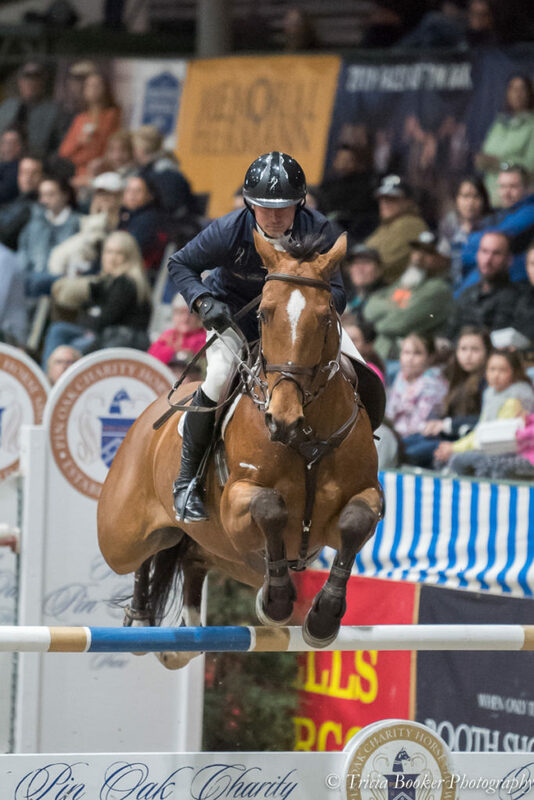 Amateur rider Didi Mackenzie had a week many riders only dream of happening. 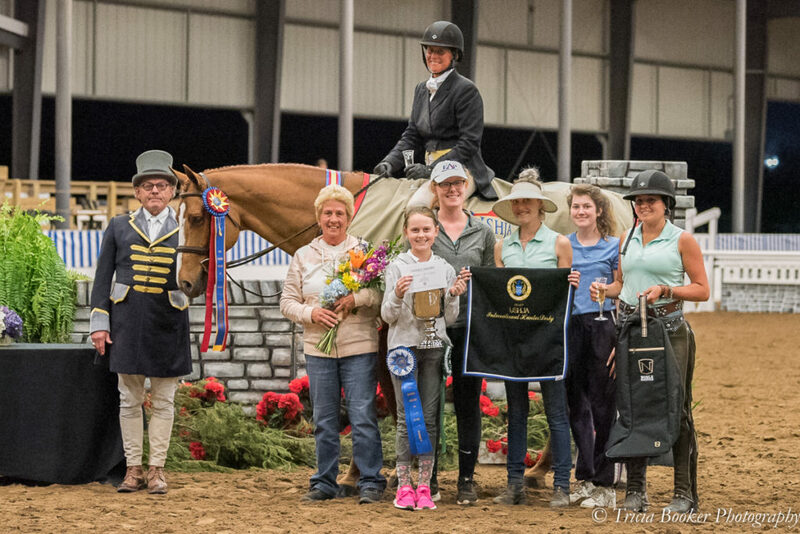 In addition to having her best USHJA International Hunter Derby placing to date, she also finished first and second in the Amateur-Owner Hunter Classic, and both of her horses, MTM Inside Scoop and MTM Do Right, earned 3’6” Amateur-Owner Hunter championships in the section that was California split. 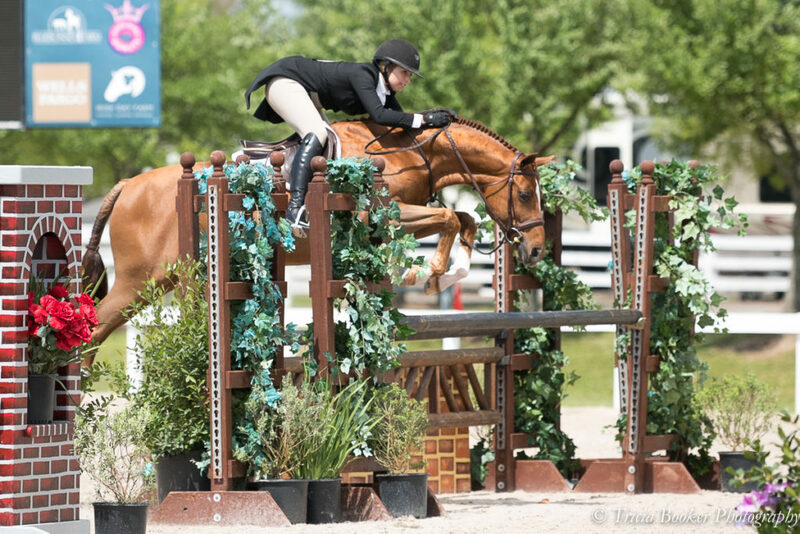 Mackenzie said during Pin Oak Week I that she didn’t believe it could get much better, as her Inside Scoop, nicknamed Coop, earned the section championship and won the classic, and Do Right, nicknamed Dude, placed ninth in the USHJA International Hunter Derby. But it did. 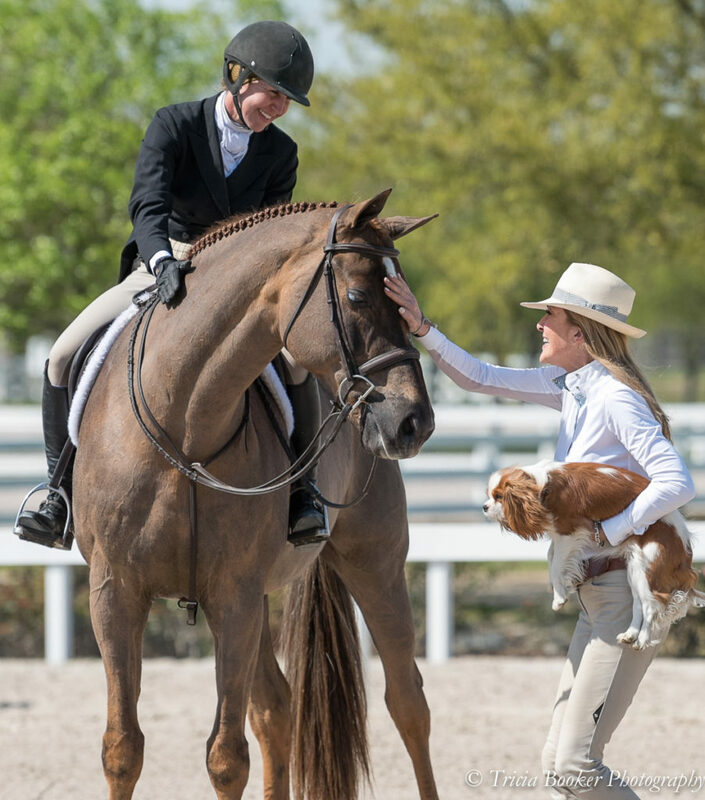 Mackenzie, of Flower Mound, Texas, has brought both horses up the ranks from the start, doing most of the work herself with her husband, Kenny Mackenzie, who owns and operates Quail Hollow Tack. 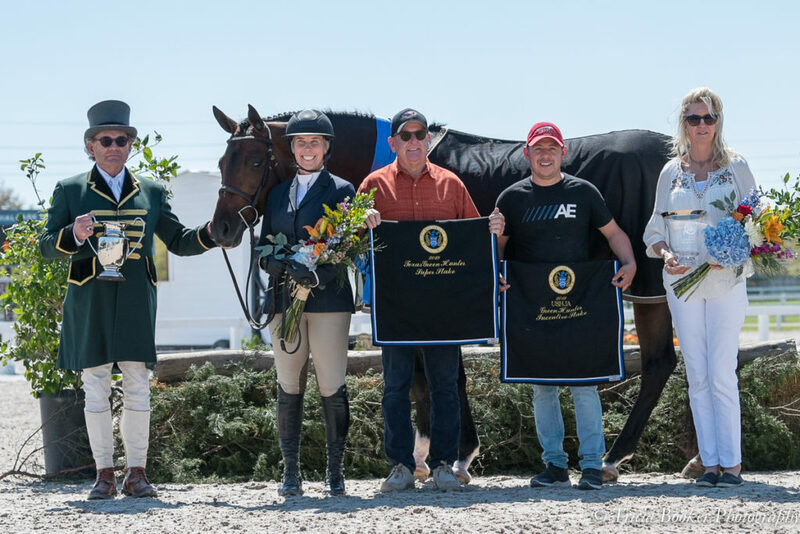 She also credited trainer Colleen McQuay for always being there for her, as well as long-time barn manager Manuel Tamayo. “Normally, I have words for everything, but I don’t have words for this,” she added. Kelley Buringa was all smiles after her own derby victory gallop on Friday. 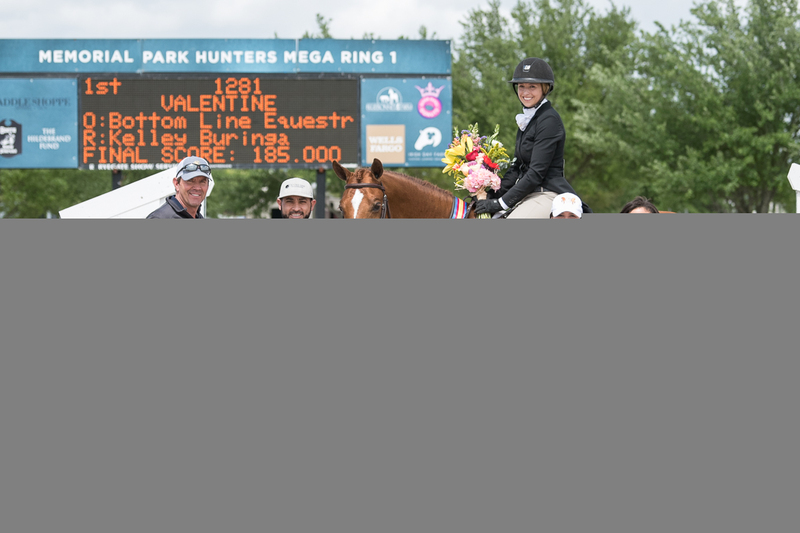 She guided Bottom Line Equestrian, LLC’s Valentine to the win in the Baggett Family $10,000 USHJA National Hunter Derby. Valentine and Buringa won the Classic Round with a score of 91 and then returned last, earning a 94 in the Handy to cement the overall win. 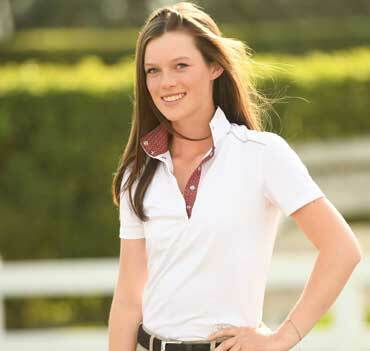 In the first round, Buringa said she was a little nervous, but knowing she was on a talented horse that could win she had the confidence to go for it. 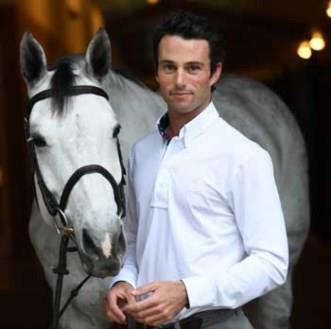 Returning for the Handy Round, Buringa said Valentine gave her a great feeling, was bold and gave her the confidence to make exacting rollbacks and the inside turn to the trot jump. 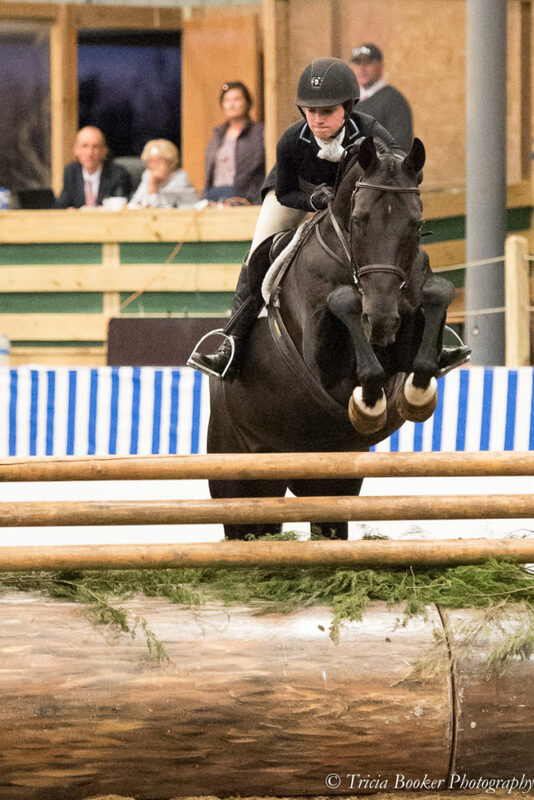 Hollis Hughes Grace’s Hoopla, ridden by Peter Pletcher, placed second in the USHJA National Derby and also earned the championship in the 3’3” Green Hunters. 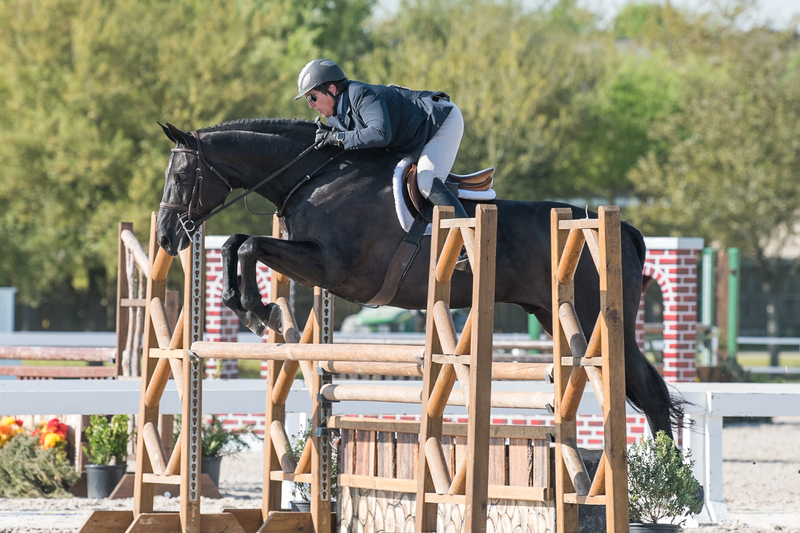 During Saturday night’s featured $30,000 Hildebrand Fund Pin Oak Charity Grand Prix, Mathis Schwentker and NKH Caruso continued their winning streak that began on Thursday when they captured the $25,000 Walter Oil & Gas Corporation Pin Oak Grand Prix. Schwentker, who rides for Christian Heineking, topped both classes with room to spare. 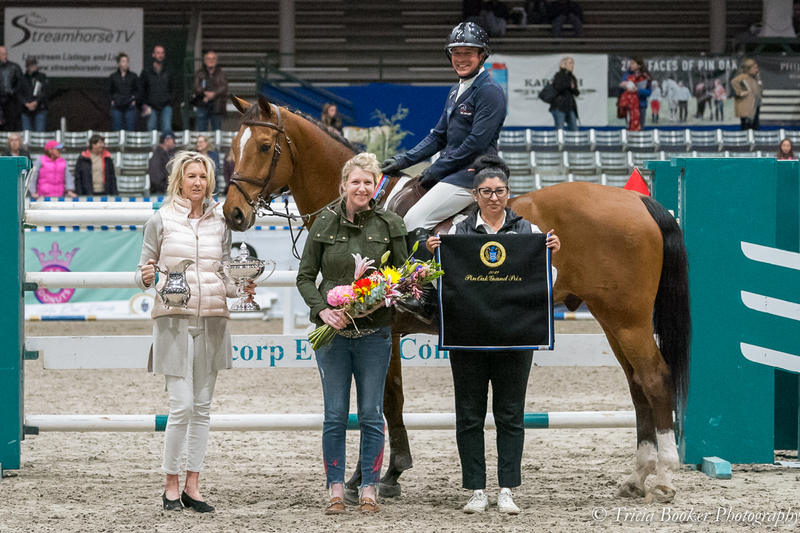 He finished Saturday night’s class 1.2 seconds ahead of Jordan, ridden by Jill Gaffney (who won the $10,000 1.45m Welcome Stake), and 2 seconds ahead of Daniel Bedoya aboard Quattro on Thursday. 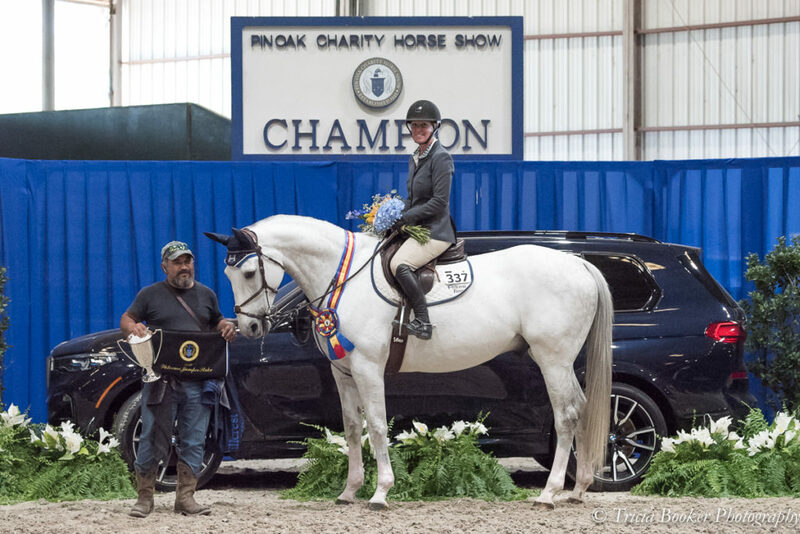 Schwentker’s previous victories with Caruso include two $30,000 Smartpak Grand Prix classes on the HITS Coachella Desert Circuit in California, as well as the $70,000 Back on Track Grand Prix, also held there. 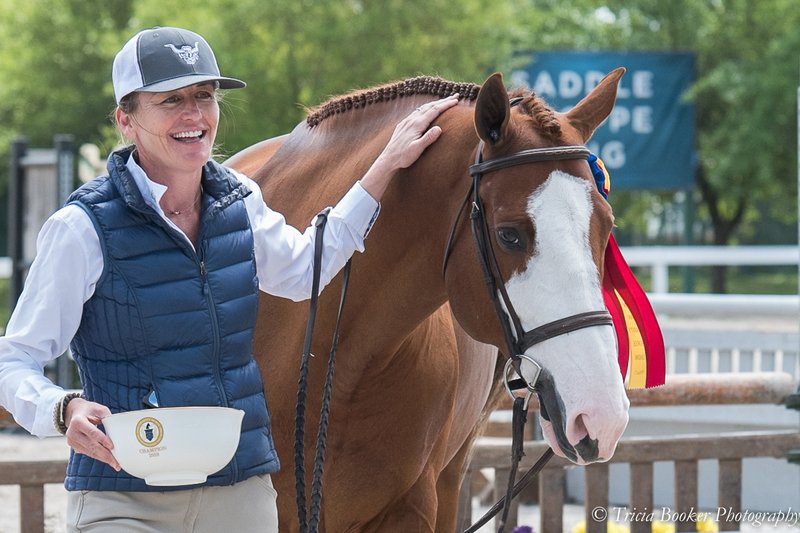 Barbara Bailey’s Rhyme Time is just beginning his show career, but handler Rob Moyar has high hopes that the 2-year-old Best Young Horse winner will become a star in the performance ring later in life. “He’s out of a futurity winner, Sands Of Time, and has the Jones Hall Thoroughbred line. 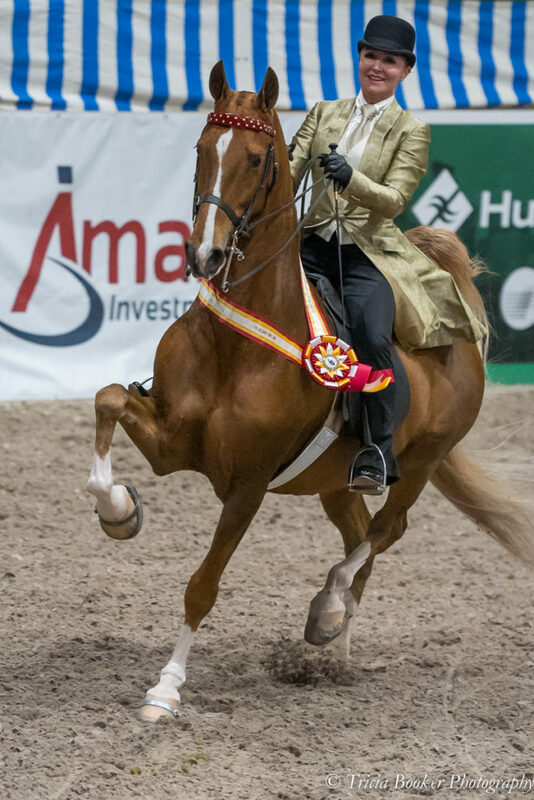 The stallion is C. Quito, who showed in the amateurs,” said Moyar. Bailey, who owns the mare and bred Rhyme Time, chose C. Quito for his talent and tractability, which Moyar already admires. 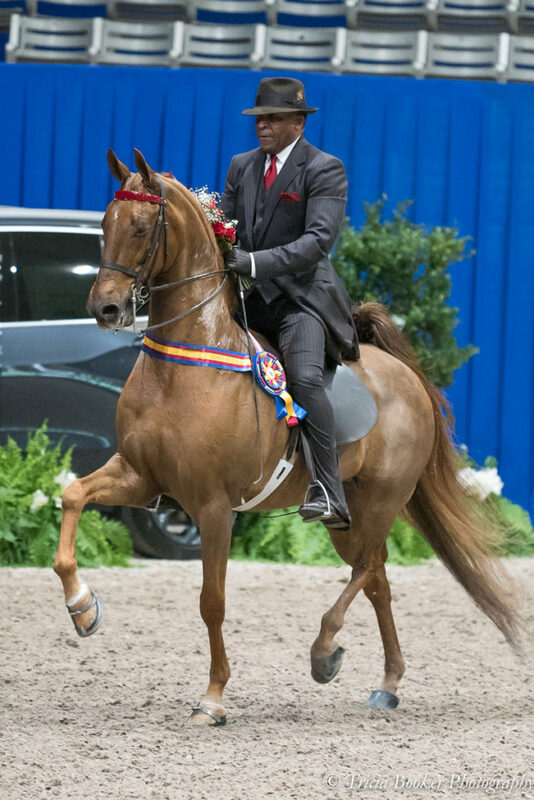 Pin Oak II was Rhyme Time’s debut in the show this year after he earned the reserve championship in Zone 7 as a yearling. 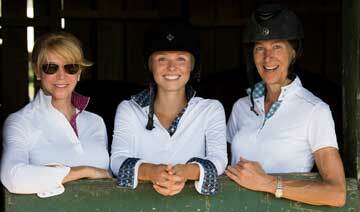 “Best Young Horse isn’t bad,” said Moyar with a smile. Proof It Happened Photo Booth will be in the Sponsor Club during the Wells Fargo Grand Prix & Abbot Downing Ringside Gala on April 6, from 5 – 9 PM. Tons of fun props will be available, so swing by to take a photo with friends and upload to your social accounts! 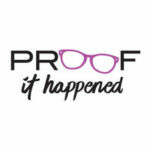 **Thank you Proof It Happened for donating the photo booth for this event! 2019 Sponsorship options are now available on the Sponsors & Donors page. 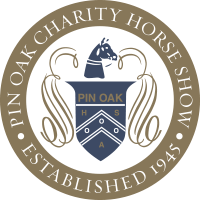 For more info or to be added to the mailing list, please contact sponsorships@pinoak.org.